It’s Sunday night and at the end of a busy weekend I’m sitting with my feet up enjoying reading everyone’s blogs. This design contains dc, tr and htr (UK terms). 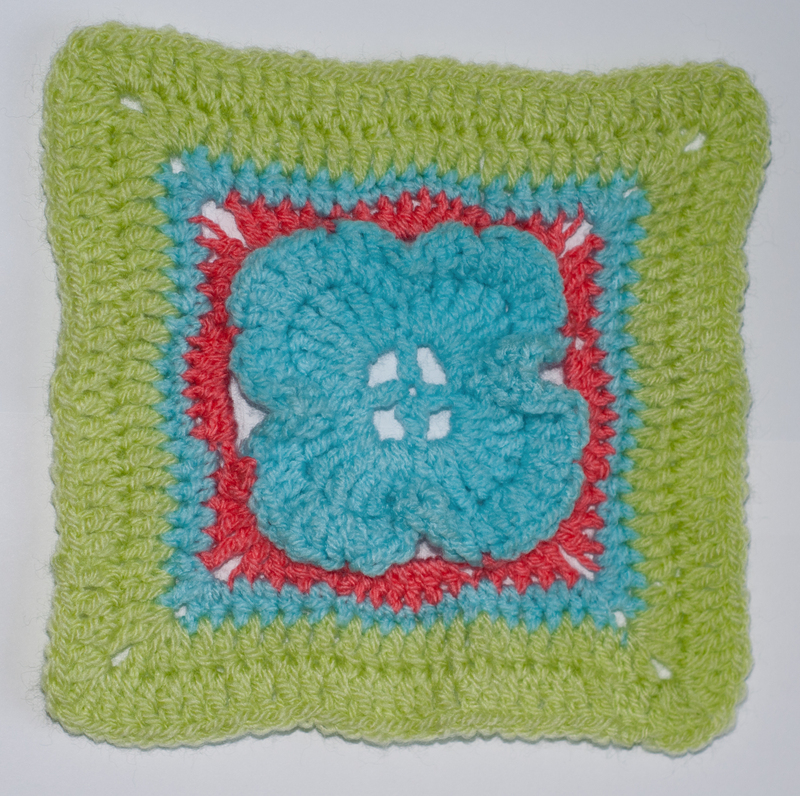 The flower motif in the centre sits proud so it’s a great 3 dimensional square. After spending the day out visiting my friends Jennifer and Sarah yesterday I decided that today I could no longer put off tiding my living room. It’s the room where I do all my crafting as I have a big dining table to set out my stuff and big comfy sofas to sit on crochet on. Unfortunately this means that all my craft paraphernalia is everywhere and this can be problematic when there are young children about. Only last night when I was crocheting, Elsie (my 10 month old) decided she would help me unravel the yarn I was using. So I spent most of today cleaning my living room, mopping floors, tiding books and toys away. I had found some craft books I totally forgot that I had bought so I’ll be looking to these for future project ideas. 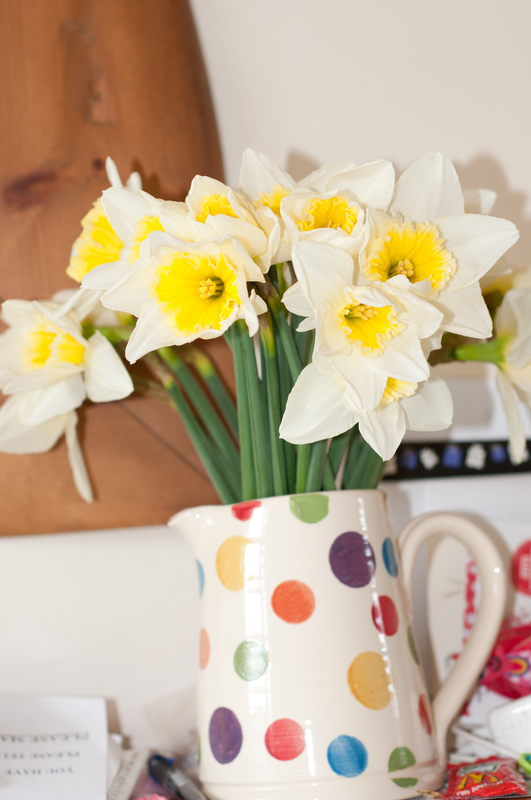 I went out and got myself some gorgeous flowers to brighten up my now clean living room. 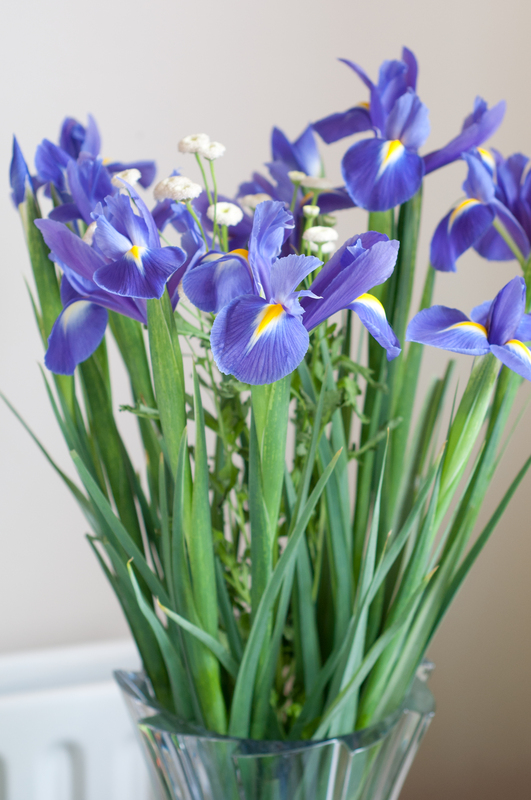 Some beautiful blue irises and some daffodils. 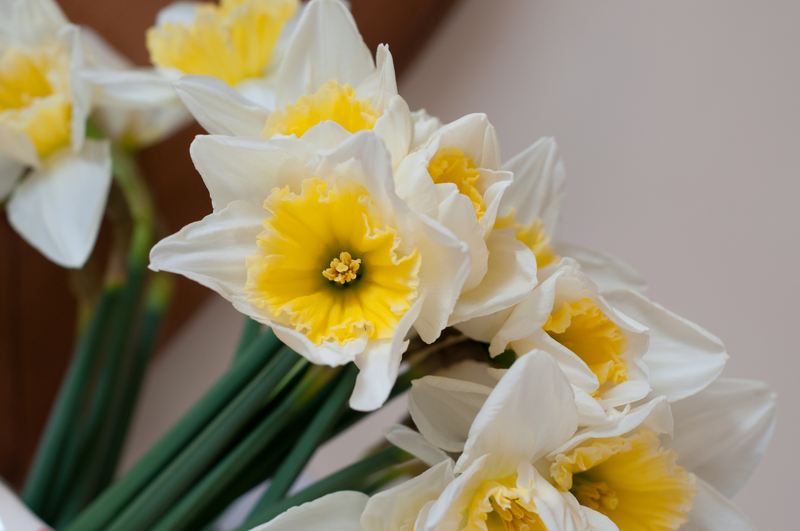 I had planed to put them together in one big vase but the daffodils were too short for the vase (oops!) so I made 2 different displays. Well that’s the end of a busy weekend, I hope you had fun with yours. 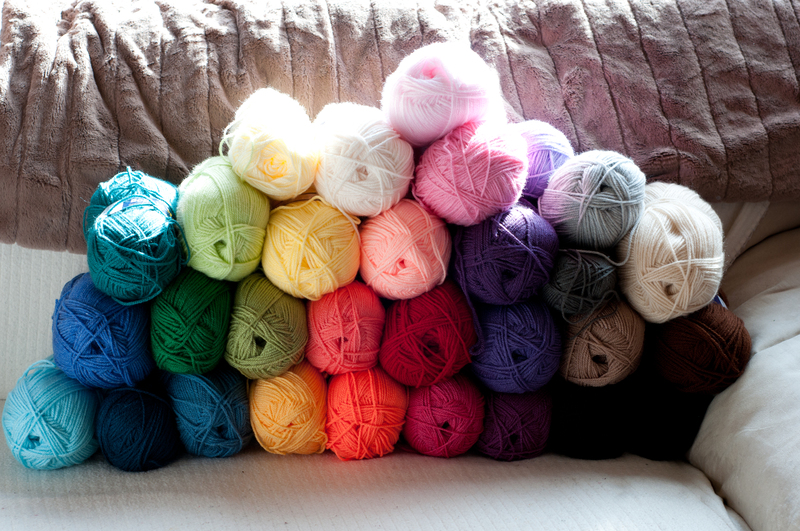 You have great color schemes on your squares! 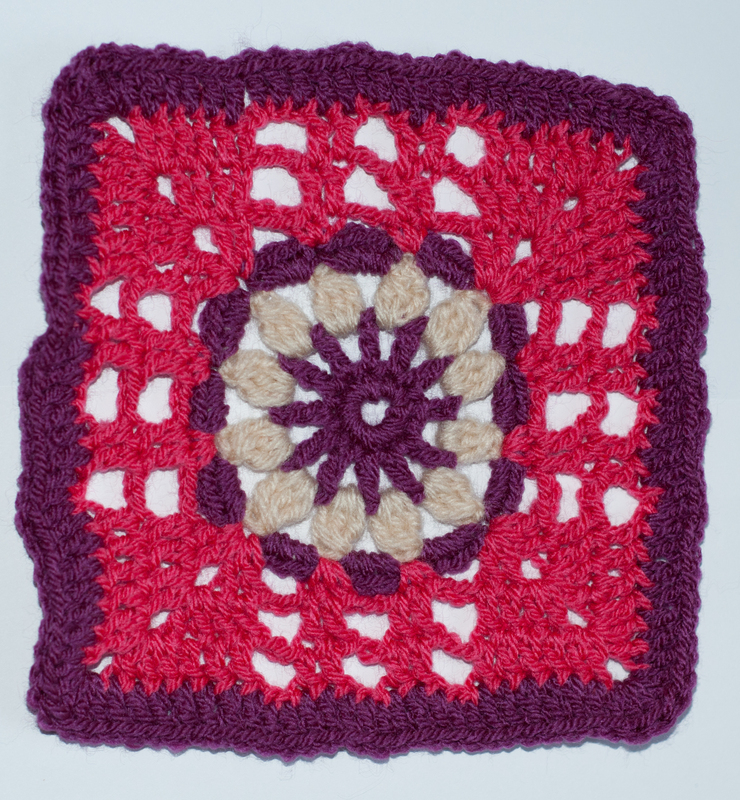 I didn’t know there were so many ways to crochet a square! Gorgeous 🙂 Thank you for reading my blog. I’m still only a 1/3 of the way through my March project. Glad you stopped by to read my blog – I’m loving your patchwork. 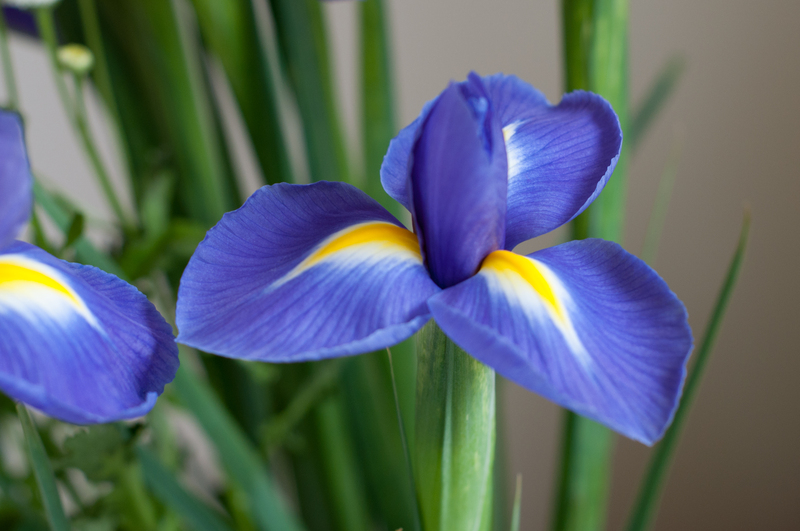 Oh, I love irises. I must look out for some. What a great way to learn to read crochet patterns! I love the colors and design of number 10. Thank you for your kind comments. It is a great way to learn to read crochet and I’m slowly but surely building up my crochet techniques. 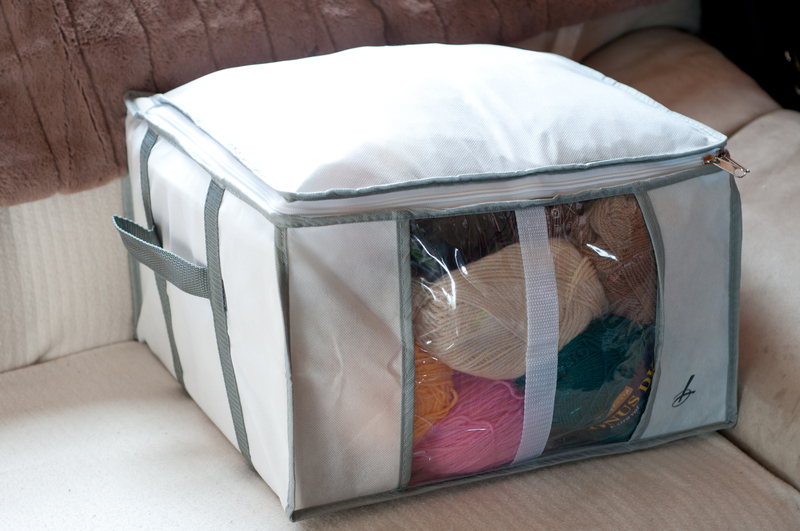 What a great way to keep your yarn stash under control!